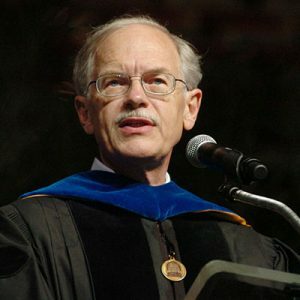 Former Abilene Christian University provost Dr. Dwayne Dale VanRheenen, 72, died Aug. 11, 2016, in Washington state following an illness. A memorial service will be held at 3 p.m., Sunday, Aug. 28, at Abilene’s Highland Church of Christ (425 Highland Ave., Abilene, Texas 79605). A reception will follow with the family. VanRheenen was born in the Dutch farming town of Prairie City, Iowa, on April 13, 1944. At a young age, Dwayne’s parents left the Dutch Orthodox Church for the Church of Christ and were shunned from their community. Without family or community support, the growing VanRheenen family moved frequently as Dwayne’s father preached across the Midwest and South, pausing to farm and raise pigs and other livestock when the seasons and financial needs intersected. Dwayne told stories of late nights as a schoolboy (after spending the day in the fields and school) bent over a typewriter pecking out his father’s sermons as he gave dictation. This ethic of work hard, pray hard, study hard was one that stuck with him all his life. 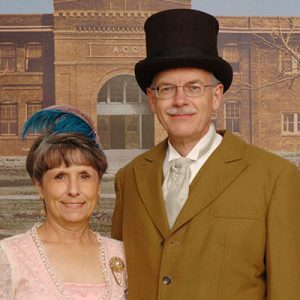 Joan and Dr. Dwayne VanRheenen at the President’s Circle Dinner during ACU’s Centennial in 2006. Although poorly educated themselves, his parents desired their children to become leaders in ministry and academia, and eventually settled in Paragould, Ark., so Dwayne and his siblings could attend Crowley’s Ridge Academy, a Church of Christ elementary and high school where he met Joan Allison. The two attended Harding University together, began dating and married shortly after graduation on Aug. 26, 1966. He spent summers selling Bibles door-to-door for the Southwestern Book Company and preaching in rural churches to pay his tuition. Following graduation, Dwayne attended graduate school at the University of Missouri, eventually earning a master’s degree and a Ph.D. in speech communication. He helped plant the Brewer Church of Christ, preached regularly across the region and began to rise in the ranks of academia. He taught at the University of Maine from 1970-85, serving as associate professor and chair of speech communication. He also was coordinator of graduate studies while an adjunct professor of speech at Bangor Theological Seminary. In 1985, he accepted a position at Pepperdine University and formally began his love affair with Christian higher education – a passion that would last for 25 years. 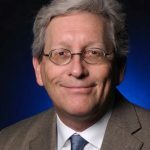 He was dean of Pepperdine’s Seaver College of Letters, Arts and Sciences while directing the college’s graduate programs and serving as a professor of communication. He also was an elder in the Conejo Valley Church of Christ for nine years, recognized as a Christ-centered, people-first, compassionate leader and intellectual. 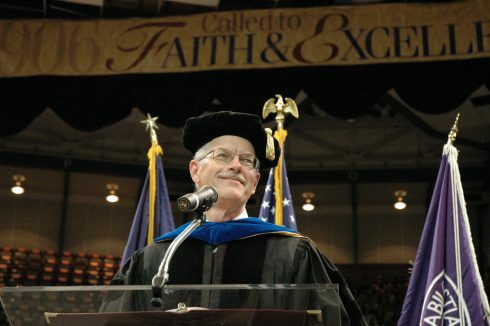 In 1996, he became provost of ACU, where he championed many transformative initiatives to increase the university’s academic reputation, including the Adams Center for Teaching and Learning, the Honors College, the Study Abroad program, the First-Year Program, the College of Education and Human Services, the School of Social Work, the School of Information Technology and Computing, the Graduate School of Theology, faculty renewal leaves, the advancement of women and minority faculty, funding for faculty development, increased rigor in tenure and promotion, and a new general education core. In all things, he sought to make ACU more academically competitive and prestigious, racially and culturally inclusive, all while still holding strongly to its deep Church of Christ roots. He remained a modern-day reformer, both on campus and in his role as elder at the Highland Church of Christ, until his retirement in 2009. In retirement, he and Joan lived in Washington to be closer to their children and grandchildren. He was preceded in death by his parents, Chalmer and Lorna Van Rheenen, and a granddaughter, Jenna Westerholm. Among survivors are Joan, his wife of 49 years; two sons, Nathan VanRheenen and Derek VanRheenen (’00 M.S. ); a daughter, Michele Westerholm; two brothers, Gailyn Van Rheenen (’75 M.S.) and Mark VanRheenen; two sisters, Karen Cuthbertson and Lorual Peschka; and six grandchildren. Memorial gifts may be made to the Jenna Westerholm Endowed Scholarship at ACU that benefits teacher education majors (online or mailed to Gift Records, ACU Box 29132, Abilene, Texas 79699-9132). I know it is too late to write here, but better late than never. Back in 1985, l had just arrived in Maine to start my post graduate studies. As an international student, I had been assigned a host family. I remember meeting Dwayne in his office for the first time. I still remember his warm and friendly personality. I met his wife Joan also. Shortly after, the family had to move to Pepperdine as I recall. I am deeply saddened to hear that he passed away in 2016. Dwayne and Joan made an impression on me that I still remember them after all these years. May he rest in peace. Dr. Van Rheenen was an excellent role model and a hero in many realms. I am forever grateful for his Christian leadership when he served as the Board Chair of the Abilene Library Consortium. Bless Dr. Van Rheenen and his family. Dwayne was a brilliant man, a fine Christian leader, a visionary and a wonderful colleague and friend. He’ll definitely be missed! Sending prayers for his sweet family.